Two very different families are bonded by scandal in this sweeping story of love, greed, and betrayal. Anselme Rochefort has built an empire manufacturing serge de Nîmes, or denim. His biggest client? Levi Strauss. As the craze for blue jeans begins to sweep the globe, Rochefort Industries seems poised for untold success. But Anselme can be as cruel and ruthless with his family as he is in business. The Rocheforts’ neighbor Donatien Rouvière has one of the region’s most prosperous farms and is desperate for a son to carry on his legacy. After the births of three daughters, the Rouvières adopt an orphan from the Sisters of Charity convent and raise him as their own. When Anselme suggests uniting the two families by arranging for their children to marry, it seems like the perfect match. But as the lives of the two clans grow increasingly intertwined, dark secrets come to light, including the mysterious circumstances of the death of Anselme’s eldest daughter. 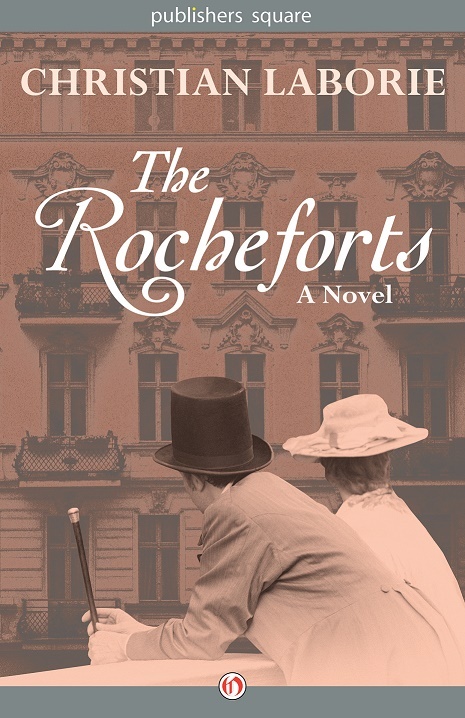 The Rocheforts is his first novel to be published in English. I found the characterizations in the book varied and interesting. The passages about the denim industry were surprisingly fascinating. This is a long book and a big read, which I find very satisfying. I would recommend this book for other fans of family sagas. It is engrossing, and would make a great vacation read. The characters were all very different and I enjoyed the way they developed throughout the novel. I really enjoyed the historical backdrop of this novel, as I knew very little about the silk and denim production process. I found The Rocheforts to be an enthralling family saga, one which kept me intensely engaged from its dramatic Prologue, set in 1898, to its Epilogue, thirty-two years later. It is to Laborie’s credit as a writer and an observer of people that he makes each family member distinctly memorable. When it comes to books that are almost 500 pages long you really need a story, a good written story that can keep the readers interest up. Christian Laborie has really managed that. I think one thing that makes everything work besides the good writing is that Laborie includes real life events like WW1. I enjoyed reading this book very much and I’m looking forward to reading more books by Laborie in the future. It was character and drama driven with good research into the history of the time period. It had a vintage historical feel that I really liked and I enjoyed being able to slow down and read this book over time, without losing any momentum on it. I would highly recommend this book if you like dramatic familial novels, showing decades of ancestors with all their secrets, lies, and anguish. Personally, I love books about turn-of-the-century industrialists and how they lived, so I really liked this one. I can fully see why this novel was a best-seller when it first published in France. I was fascinated by the deep secrets that the families had and how the author brought them to light. I thought that the author kept the secrets as a suspense aspect. I also liked how he introduced a mystery bundle at the beginning and then it was identified. The writing was engaging and the pacing well done. 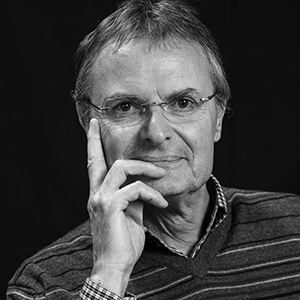 Christian Laborie is a gifted writer who has an excellent grasp of setting the scene and creating effective characterizations. Lovers of family sagas and France will find much to enjoy in The Rocheforts. Plenty of drama, debauchery and strong characters, dark secrets, betrayal. Heavy on theatrics keeping your focus as both families. Enjoyable read allowing the peruser to escape reality, your own personal problems pale in comparison to the plethora of predicaments with the varying degrees of colorful personalities as these two clans face and create their present state while contemplating their futures.